Peter Dumont is the Vice President, Global Strategic Projects for Pentair Thermal Management, a business unit of Pentair Ltd. This business unit generated approximately $700 million in revenue in 2016. Peter has been with the business for over 17 years, working in various roles both domestically and internationally. Pentair Thermal Management (PTM) specializes in providing turnkey heat management systems for industrial and commercial construction projects globally. PTM integrates all aspects of fit-for-purpose heating technologies, control systems, insulation, and electrical power distribution to deliver engineered systems designed to maintain piping, equipment, vessels and instrumentation at process temperatures. PTM’s core competency spans all phases of the project life cycle from front end planning through detailed engineering, procurement, construction, start-up, and maintenance. PTM employs thousands of full-time professional/technical staff and direct construction craftspeople, with North American offices in Houston, TX; Port Arthur, TX; Baton Rouge, LA; Philadelphia, PA; Chicago, IL; Edmonton, AB; Calgary, AB; Fort McMurray, AB; and Toronto, ON. 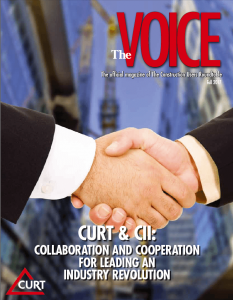 Read more about Peter Dumont in The Voice magazine, the official magazine of The Construction Users Roundtable for Fall 2017. 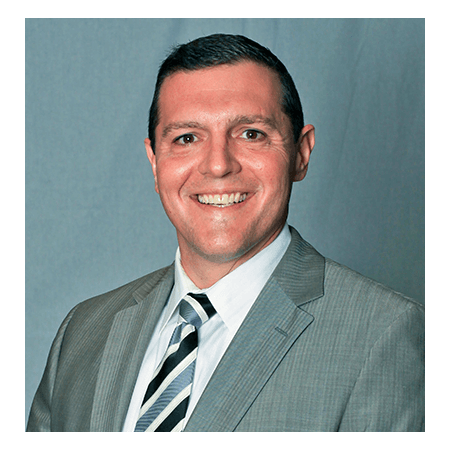 A native of Maine, he earned his undergraduate degree in Civil Engineering from the University of Maine in 1994 and a master’s degree in Construction Engineering and Project Management from The University of Texas at Austin in 1995. He performed his graduate research for the Construction Industry Institute (CII) and was co-developer of the Project Definition Rating Index (PDRI) for Industrial Projects – a scope development and ‘AFE readiness’ tool to assist with front end planning. Peter excelled academically earning a graduate GPA of 4.0/4.0 and an undergraduate GPA of 3.98/4.0. In 1994, he was awarded the Maine Outstanding Engineering Graduate of the Year award. He also was awarded a Tau Beta Pi National Engineering Honor Society Fellowship and was inducted into the Chi Epsilon Civil Engineering Honor Society, the Phi Kappa Phi National Honor Society, the Order of Omega National Honor Society, the Order of the Engineer, and the University of Maine Senior Skulls Honor Society. At the University of Maine, he was the co-founder & President of the Beta Eta Chapter of Beta Theta Pi Fraternity. Prior to his current role as VP of Global Strategic Projects, Peter served as Project Director for Pentair on an $8.5 billion grassroots oil sands refinery in Alberta, Canada. PTM’s scope included front end planning, detailed engineering, procurement, fabrication, and partial construction for the project’s heat management system. PTM’s contract value was $130 million. Peter also was PTM’s Project Director on another oil sands upgrading project ($12 billion TIC) in northern Alberta. Pentair’s scope for this project’s heat management system included front end planning, detailed engineering, procurement, construction management, and start-up support. Prior to serving in these project management roles, Peter was PTM’s Director of Global Projects Business Development, Special Projects Director, and Manager of Canadian Operations. As operations manager, Peter helped PTM’s Canadian division achieve an average annual growth rate of ~20% while achieving all profit targets. Peter had approximately 250 staff members in his organization, not including craft labor. During his tenure from 2005-09, PTM’s Alberta operations grew significantly while maintaining low turnover in a highly competitive job market. In addition to Peter’s operations management and project management roles, he has remained heavily involved in international business development activities. He also has led numerous other strategic growth initiatives and the development of project management work processes and systems. Prior to joining the company in 2000, Peter worked for two large, multi-discipline engineering and construction companies: Jacobs Engineering Group and S&B Engineers & Constructors, Ltd., in Houston, Texas. At these firms, he held various positions such as project manager, project services manager, project engineer, construction engineer, quality engineer, and civil/structural engineer. He has worked on a wide range of global industrial projects ranging from a few thousand dollars up to $30+ billion. Registered as a Professional Engineer in North Carolina and Maine, Peter currently serves on the Board of Trustees and is the President of the Construction Users Roundtable (CURT), an international group of owners and contractors focused on improving the construction industry (www.curt.org). Peter also is active in several professional and technical organizations including the American Society of Civil Engineers (ASCE), the Project Management Institute (PMI), and the American Society for Quality (ASQ). Peter is a Six Sigma Green Belt and has extensive background in lean, front end planning, project information management systems, project controls, quality management, rework measurement, work process improvement, contracts, and claims management. In 2003, Peter was awarded his company’s Chairman’s Council Platinum Award (highest level corporate award) for contributions in Operational Excellence. Peter has presented at numerous conferences held by organizations such as CURT, LCI, PMI, AACE, MICA, and the Houston Business Roundtable. He is published in various technical journals including ASCE’s Journal of Management in Engineering, among others. He has been a guest lecturer at The University of Texas at Austin, Texas A&M University, and Prairie View A&M University on topics such as project management, project controls, quality management, and lean project delivery. Peter has been active in civic affairs as well. He served on the Planning and Zoning Commission for the City of Pearland, Texas, and was a member of his Pearland neighborhood’s Architectural Review Committee (430 homes). For this newly developed community, he authored its homeowner architectural guidelines. Peter is married and lives in Houston, Texas. He has three children, ages 14, 12 and 11. Peter is a U.S. citizen and has multi-year work visas for Canada, Russia, and China.